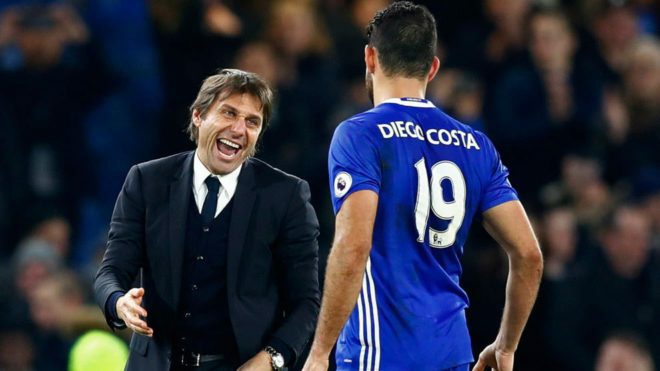 At times, Diego Costa’s relationship with Antonio Conte has appeared rather strained and now the Chelsea man has confessed that his club boss doesn’t expect him to be at the Premier League champions next season. A January falling out between the pair erupted over a potential move to China and yet the Spanish striker ended the year as the Chelsea top scorer. “My relationship with the coach has been bad this season and it is clear that he does not want me on the team,” Costa said after Spain’s draw with Colombia. “I guess I have had such a bad season that I can’t continue. Whether or not that team will be Atletico Madrid may be down to Costa’s willingness to spend the remainder of 2017 on loan or on the sidelines, given the capital club’s transfer ban. “Five months without playing? I do not know, it’s complicated,” he admitted. “But people know that I love Atletico a lot and that I love living in Madrid. “It would be nice to go back, but it’s difficult to go four or five months without playing and it’s a World Cup year.